The Norwegian government is poised to tighten and clarify regulations for short-term rental of residential property, in new legislation sent to Parliament on Friday. The goal is to crack down on what government minister Monica Mæland calls the “pure hotel operations” that have sprung up since online accommodation service Airbnb entered the market. The main goal is to preserve stable residential communities and more clearly separate residential operations from commercial business operations. The government is also keen to hinder investors from driving up housing prices in Norway by paying high sums for apartments they intend to rent out as Airbnb units. The investors can justify high purchase prices if they can charge daily rental rates to Airbnb tenants. Newspaper Dagens Næringsliv (DN) reported Friday that Airbnb, founded in San Francisco just 10 years ago, has enjoyed explosive growth in Norway but stirred opposition as well. DN cited a new analysis carried out by Menon Economics for Norway’s national employers’ organization NHO Reiseliv, which represents hotel and tourism operators who have both feared and welcomed Airbnb. Menon estimates that total rental income for homeowners tapping into the Airbnb market will hit nearly NOK 2.5 billion this year, up 50 percent over last year. Fully 27,500 rooms were made available in Norway via Airbnb last year. 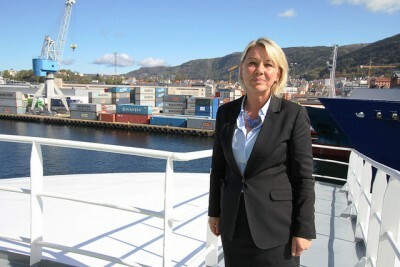 Menon estimates the number will rise to 38,500 this year, equal to nearly half of Norway’s collective hotel capacity. While hotel owners and operators have felt the most threatened by Airbnb, and called for ways of controlling it, homeowners’ associations all over the country have been complaining as well, especially in Oslo and Bergen. They don’t like how Airbnb tenants can disturb their buildings’ residential environment, when owner-occupants are frequently or even constantly faced with strangers coming and going with suitcases. Complaints have centered around wear and tear of common areas, security problems because of building entrance keys going astray, short-term residents who have no idea about house rules regarding everything from where to place garbage or hang laundry, and especially noise. In one case, four young male football fans who traveled to Oslo to attend a match rented an apartment in a residential building and noisily partied all weekend, much to the distress of the neighbours. They paid less than a hotel would have cost but enough that the non-resident owner-investor could profit on their stay. A lack of clear regulations has posed challenges for homeowners’ associations. The government is now responding with a new proposed rule in Norway’s existing residential real estate law. It will limit short-term rentals (defined as rental on a daily or weekly basis during a 30-day period), with apartment (condominium) owners only allowed to engage in such for a maximum of 90 days a year. Homeowners associations will be allowed to shorten that to 60 days or increase it to 120 days. At present there are no limits at all on how many days residential property can be rented out on a short-term basis. The new rule will also allow short-term rentals for the first time in residential cooperatives, but only for a maximum of 30 days a year. 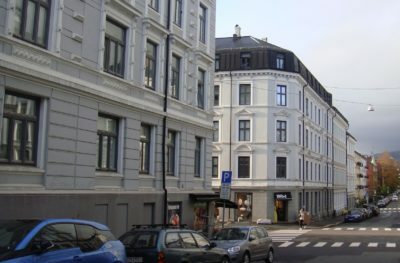 The new rule in Norway’s so-called eierseksjonslov (literally, real estate sectioning law) will also prohibit any single investor from buying more than two residential units in the same homeowners’ association, by also prohibiting “indirect purchases” through special-purpose companies listed as the buyer. Now the person behind the purchase must be identified and limited. “We want to hinder the intensive hotel operations of Airbnb but at the same time make it easier for ordinary homeowners to rent out their homes or space in the homes,” Mæland said. She noted how similar restrictions on Airbnb have been imposed in popular tourist destinations like Barcelona and Amsterdam. Norway has seen a huge increase in tourism as well, amidst criticism that it’s running out of control in some areas. OBOS, the large member-owned residential real estate developer that also manages properties and advises homeowners associations, strongly supports the new proposed legislation. “Airbnb rentals cannot continue with no control over them,” OBOS chief executive Daniel Siraj, told DN. Siraj said OBOS has been contacted by many homeowners’ associations suddenly confronted with new members who clearly are only planning to use their units for Airbnb rental. “They want to know how they can control it and reduce conflict levels,” he said, adding that the new state regulations will help. “There’s nothing wrong with homeowners wanting to rent out their places and earn some extra money when they are away for the weekend, for example,” Mæland stressed. “But regulation has to keep up with developments.” The proposed legislation is expected to win majority support in Parliament.